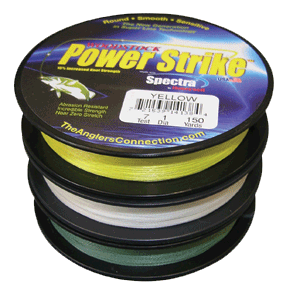 Color: Green, White, and Yellow Woodstock’s braided is the “next generation” of modern day fish line. 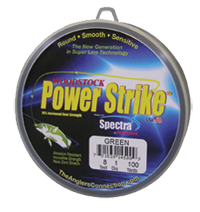 Made with 100% SpectraTM and impregnated with a special blend of resins, this line supersedes any fish line on the market today. It has an incredible strength to diameter ratio, has virtually no stretch, and “air knots” and “wind knots” are practically non-existent. 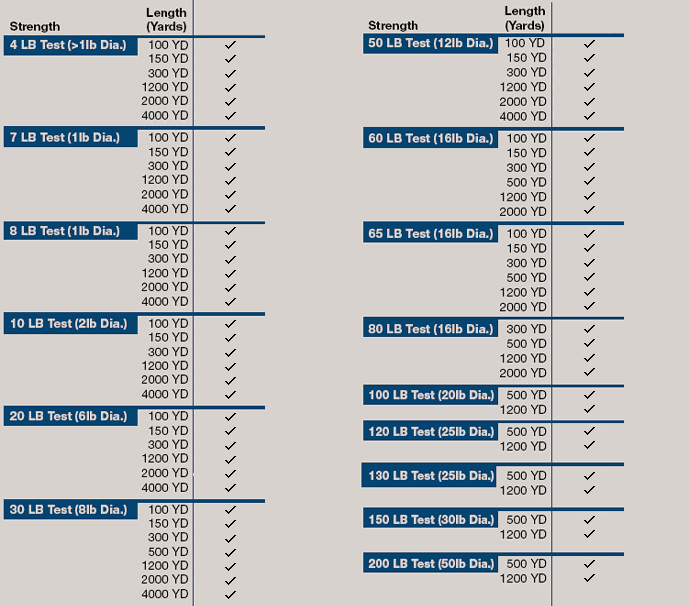 Power StrikeTM brand products will not de-laminate like Teflon or Silicone products; and it has been engineered to increase the knot strength up to 15% and the overall tensile strength of the line 8-10% over the traditional Super Lines. This is the only line that you will ever need! Abrasion resistant and smooth as silk. There are no other products in the market that perform like this one! Comes in an attractively designed Pegboard display box.